Shoes. Nothing piques our fancy more than a nice new pair to break in. From time to time, I'll be running shoe reviews, depending on what comes in the mail. Expect these reviews to be brief, concise, and coming from a very practical runner's perspective. On today's menu is the Adidas Supernova Sequence 2. While not as glamorous as the Adizero series , its precursor was known as a good stability shoe for moderate pronators (yeah, not the exag overpronators like me) that's somehow gives off the vibe of silent effectiveness. It's main upgrade from the original series is that Adidas has now included a new "geofit" feature, a collection of padded areas inside the shoe that help out areas which receive the most pressure. The Sequence 2 has a lightweight sole with blown rubber coatings, and is supposed to be durable. The outsole also uses the "ForMotion" feature that helps to adapt to different angles or types of terrain. 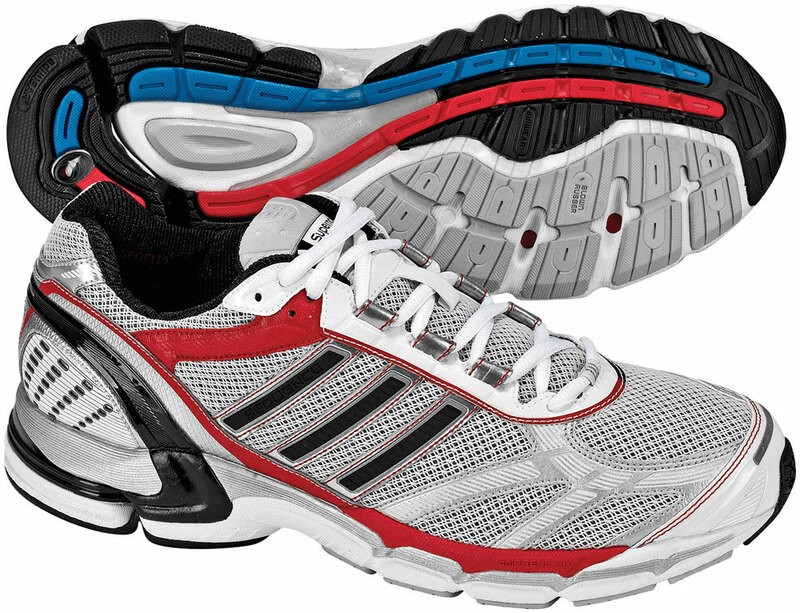 The shoe is supposed to be versatile, and Adidas suggests that it can be used for numerous different running styles. I took it out for a quick spin on a leisurely 14k. Immediately noticeable was that it was heavier than my trusty, BDM-scarred Adizero Tempo. As the run progressed, I felt that it corrected my stride a lot more (maybe because of all that fancy" geofit material". OOooh.) and that it afforded a lot more stability. Better yet, my ITB didn't give way at the end. Amazing. Speedwork doesn't seem to be affected all that much by the incremental increase in weight. In hindsight, it's even lighter than my New Balance 848.